We checked in right away so we could get all set-up before the event officially started. There were some glitches to getting online at the beginning of the game. This caused some frustration for Eldest and Princess. Once things got rolling it was hard to figure out and play by the Super League Gaming rules. I think in part that was due to mom and dad not taking more time to watch the instruction videos ahead of time and being sure that both Eldest and Princess understood them. 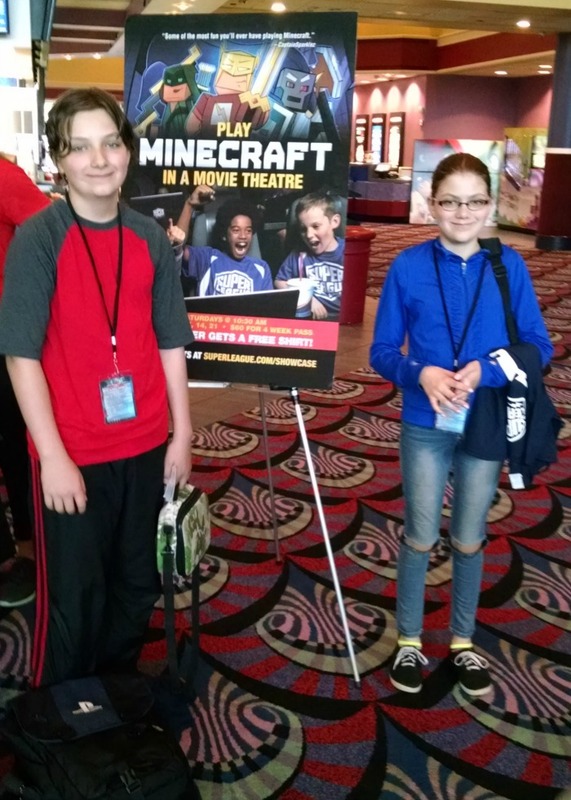 They play Minecraft frequently but with all the different mini games within Minecraft it can be difficult to adjust to certain rules or game types. Overall both Eldest and Princess had a good time being able to play on a BIG screen!